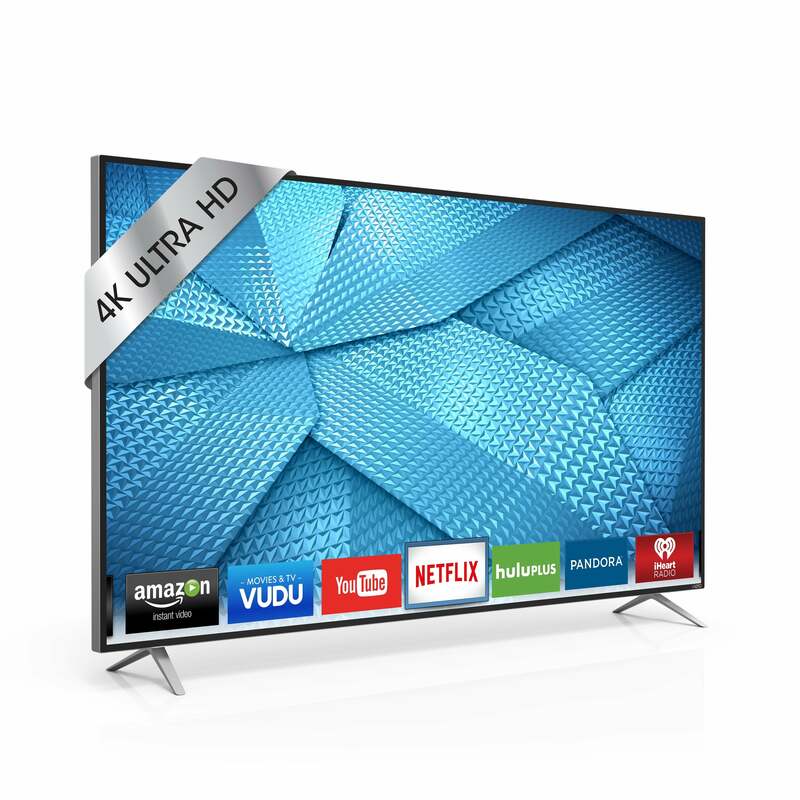 It took us a while to get a Vizio in house for our rebooted TV coverage, and we were shooting for a quantum-dot R-Series set. But the TV we received, a far less-expensive 65-inch class (64.5-inch) M-series still showed why the company is a regular in the top-five sales club. Priced at $1499, the M65-C1 is rock-solid in nearly every aspect, and considering its very good picture quality, it’s a bargain. The M65-C1 offers Ultra HD/2160p resolution (3840x2160) and has a 32-zone LED backlight array. There are five HDMI ports, four of which are 30Hz and the fifth is 60Hz at full 2160p. 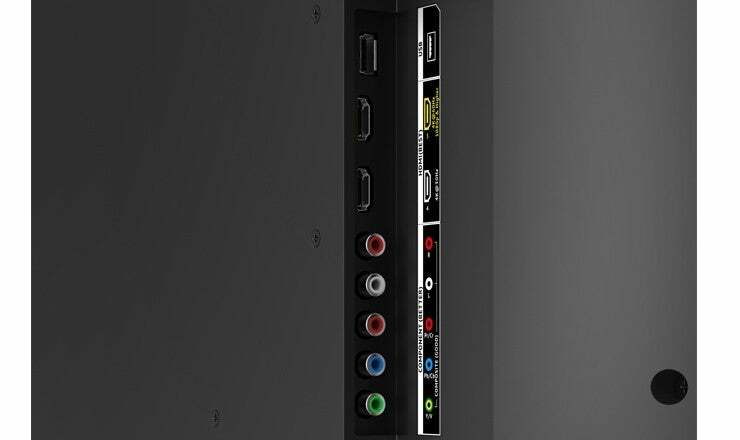 Two of the 30Hz ports support the older HDCP 2.0, while the other two, as well as the 60Hz port support the HDCP 2.2 required for any copy-protected 2160p (UHD or 4K) content. 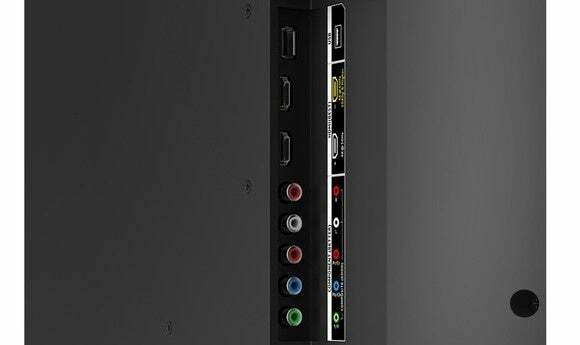 There are also component and composite video inputs as well as analog and digital audio outputs. The TV can be connected to the Internet via either its ethernet port or its integrated 802.11ac Wi-Fi adapter. The port selection on the M65-C1 includes five HDMI ports, one of which is 60Hz. There’s also a USB 3.0 port that supports playback from mass storage devices, but you can’t connect a keyboards or mouse to it. There’s also a single USB 3.0 port that’s used for playing back content from USB mass storage devices. More on that later. The folks at Vizio reported tales of users getting USB peripherals to work, but none of the USB peripherals I tried were recognized. You don’t really need USB peripherals, but a real keyboard can be handy when you’re surfing the Web or entering passwords. Which brings me to Vizio’s remote, which attempts to solve the keyboard issue by putting one on the back of the remote. The M65 remote functions well as such, but our high hopes for the keyboard found on back were doused by an uneven and illogical implementation. I had high expectations for said keyboard, but apparently the implementation varies from app to app, and I did not like the way it interacted with the on-screen keyboard. For instance, hitting the Enter key on the remote selects the character under the on-screen cursor rather than issuing a carriage return. It’s annoying when things are non-standard. Kind of the reason we have standards, you know? 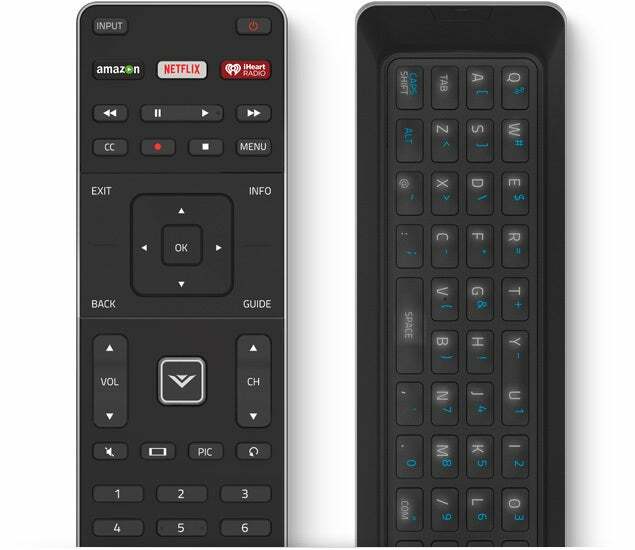 Other than the disappointing keyboard, the remote is nicely designed. My only other extremely minor issue was spotting the rather tiny input button the first time out. With no quantum dots, OLEDs, or other color-enhancing tricks in play, the M65-C1 has the slightly cold color palette that accompanies a straight LED backlighting system. That’s no knock on Vizio, it’s simply what the technology delivers. Beyond that, the picture is very, very good. 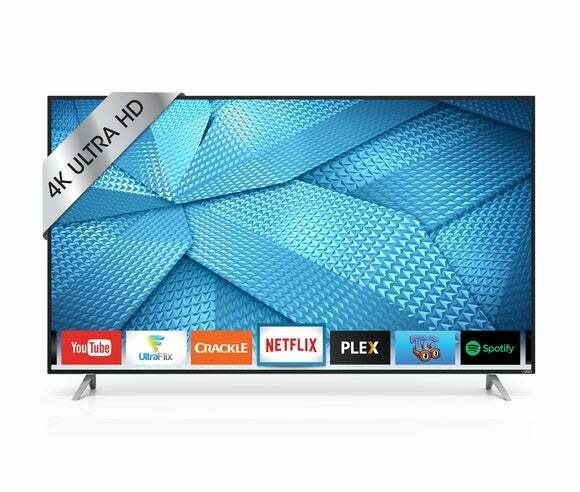 The screen uniformity (no dark or bright areas) exceeds that of any TV in TechHIve’s recent roundup outside of the much smaller 50-inch class Samsung UF-9500. Contrast is good if not great, and there are tweaks for the image up the wazoo, including a calibration grid if you want to go whole hog. I pretty much set it on vivid and left it there. Vizio touts its ClearAction number, which represents strobing the LED backlights to make motion smoother. The technique works because of very sound scientific principles, but the actual refresh rate that tells you how many cycles there are to insert black frames, interpolate, etc. for this TV is 120Hz. You’ll never find that in the documentation; instead there’s an “effective refresh rate” of 240Hz quoted. I don’t normally talk about brightness, as most TVs lacking HDR (High Dynamic Range) fall somewhere in the 250 to 350 nits range with the backlight and brightness control maxed out. But the M65-C1 actually produced nearly 500 nits. Impressive, but the extra nits aren’t usable. Unless you like your movies in light pastels—which is what all the colors become with the brightness at that level. Consider that an interesting aside. The M65-C1 uses a 32-zone backlight array with local dimming. It’s one of the better implementations I’ve seen. It fails as badly as every other LED-array TV if you feed it the wrong test pattern, but I saw zero issues with real content where it contributed greatly to the better-than-average (for the price) contrast. The sound emanating from the M65-C1 is better than many TVs—there’s some actual low frequencies present. I didn’t have any real issues with it other than it sounding just a tad muffled. Now I’m not telling you won’t do better with a sound bar and subwoofer, but I wouldn’t say it’s strictly necessary either. The M65-C1 strobes its LED (only 32 in this case) backlights to eliminate motion artifacts in fast action sequences. The M-series interface may not have the cachet of Android, webOS, or Firefox, but by and large it’s just about as easy to use (with some minor exceptions), and nearly all the big streaming services—including Netflix, Amazon, Hulu, et al—are represented in the apps selection. There are also web browsers, note-taking apps, etc. All that said, there are a few minor interface annoyances, such as having to page-left and -right through file lists rather than simply scroll as does nearly every other interface in existence. Indeed, one of my first assignments in 8086 machine language way, way back in the day was to develop a scrolling list. I’d be happy to donate the code. My main gripe about the M65-C1, however, is its limited CODEC support when playing files from a USB storage device. It’s difficult to know which codec a streaming service is using, so I’ll take Vizio’s word that when h.264 is streamed, the M65-C1 will play it. The H.264 files on my USB SSD, however, would not play, nor would 60-frames-per-second h.265 files, any DivX, or any QuickTime files. The major photo and music types, such as JPEG and MP3 are supported, but there are similar omissions among the less well-known. If you like to download stuff onto a hard drive and play it back on your TV, this not the product for you. On the other hand, the Vizio came up aces when displaying content input to the TV via HDMI. Smooth as a baby’s behind and no motion artifacts that I could discern. If your content comes via Apple TV, Roku, or Amazon Fire TV, then this a TV you should consider. Is this the right TV for you? In a nutshell, the M65-C1 delivers as good an overall picture as anything in its price range, and it compares well with units costing as much as $500 more. There are a few interface and file-support shortcomings, but nothing of consequence to the average user. It’s a very good TV that at least one of my friends is quite happy with. For the price you won't find smoother action sequences, or better playback via HDMI. The user interface (especially the settings menu), is extremely well done, and all the standard apps are there. Setup was a breeze and both Wi-Fi and ethernet network connectivity are supported. This is a solid TV at a very good price.